JDS S/C Front Motor Dragster '09 CHASSIS kit. This chassis will change the way we look at comp dragster. First this is an inline driveshaft car. The motor has been moved forward so that more forward weight can be transferred to the rear. Next the motor box and axles are boxed. This makes for a very ridged drive train area. The rear wheelie bars mount at the chassis is slotted so that any height can be achieved. The rear body mount is slotted for body float. The chassis is very narrow so that scale dragster style bodies can be run. 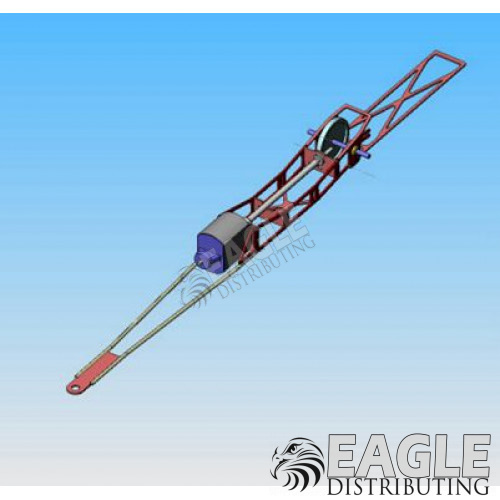 This chassis utilizes stainless tube side rails for different wheel bases. Supplied in the kit is a stainless driveshaft.